sinomedi has no other items for sale. 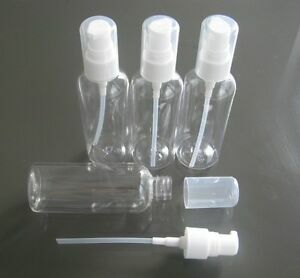 4 PLASTIC LOTION PUMP BOTTLES GEL SERUM CLEAR PRESS 20ml / 30ml /40ml/ 50ml/75ml/100ml. You will get 4 sets of bottles if you order one item. Transparent and good sealing. Color : clear bottle, white color pump.